Journey into the highlands of Guatemala to discover the modern Maya culture, as well as steep-sided temples and other vestiges of the Maya past. Start by wandering through rows of vendors at Chichi's magnificent market, and spend a few nights along the shores of the volcano-fringed Lake Atitlan. 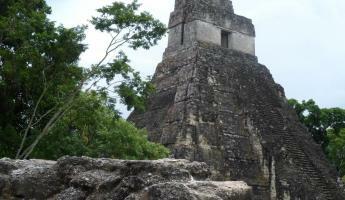 Explore colonial Antigua, the rainforest of the Peten, and finally the majestic ruins of Tikal. Along the way, the warmth and hospitality of Guatemala's people will make you want to return time and time again. 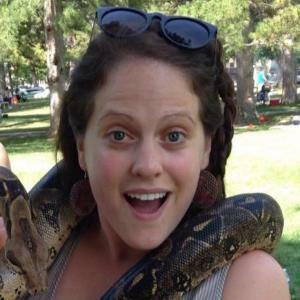 A fabulous introduction to Guatemala travel! 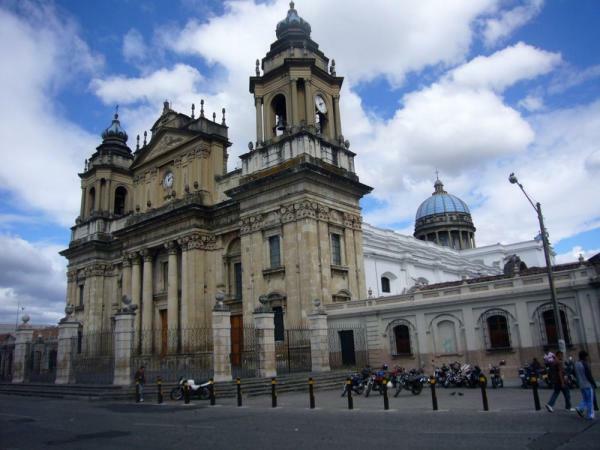 Fly into Guatemala City where you will be met and transferred to your hotel in Antigua. 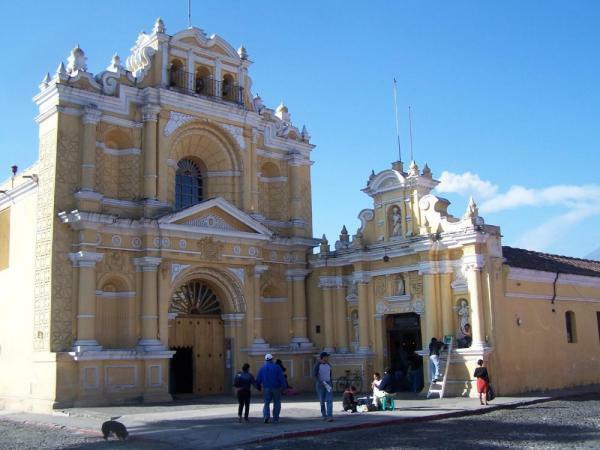 Today we rise early to visit the famous market of Chichicastenango to begin our Guatemala travels. This beautiful town, surrounded by valleys and shadowed by mountains, has many shamanistic and ceremonial overtones. Its large market brings villagers from throughout the region, who often arrive the night before and sleep on blankets in the market square. Rising early, they set out their colorful fruits, vegetables and handicrafts. The market disperses in the early afternoon and we travel to the shores of beautiful Lake Atitlan, a deep caldera lake flanked by three majestic volcanoes. 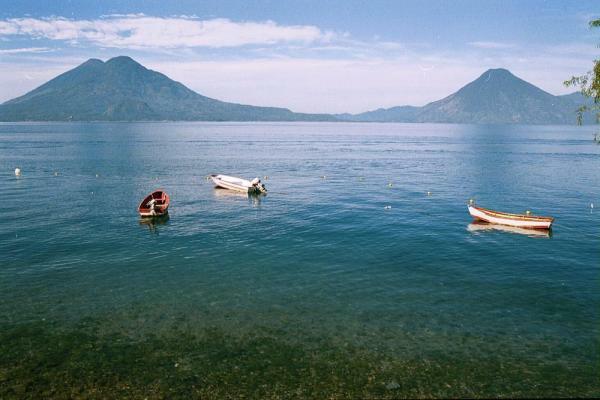 A passenger boat takes us across the azure-colored water to our charming lodge in the village of Santiago Atitlan. This morning after admiring the placid waters of the lake, we set out about town on a walking tour. Scholars tell us that the ancient Maya disappeared mysteriously a thousand years ago, but anyone who has intimately explored this fascinating region knows that the Maya continue to thrive in the highlands of Guatemala. 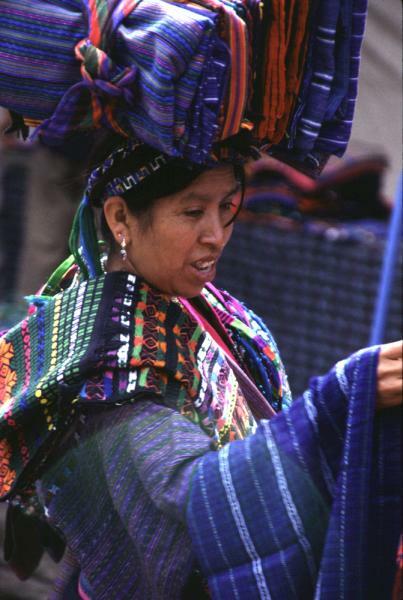 Villagers in Santiago Atitlan still adhere to the traditional lifestyle of the Tz'utuhil Maya and on our walk we'll see many people cloaked in brightly-colored, hand-woven clothing. Along Santiago's main street are art galleries filled with oil paintings depicting busy market scenes and typical life in the highlands. 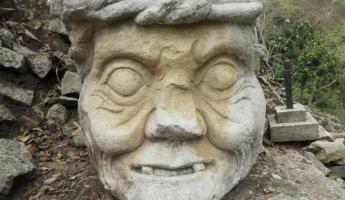 We may also visit Maximòn and leave an offering to this curious and revered deity. We board the lancha this morning for our return trip across Lake Atitlan. 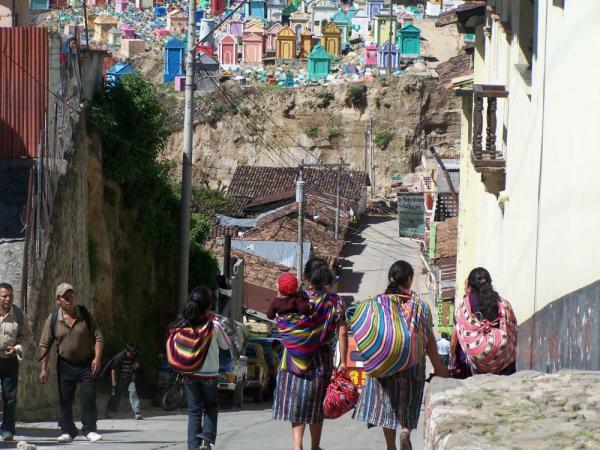 A few miles down the curvy mountain road, known as the Interamericana, we reach the town of Solola. The main plaza is home to one of the most authentic markets in the highlands, and we'll spend some time wandering through the stalls, admiring the palette of colors created by mounds of fruits, vegetables, meats, housewares and clothing. After our sensory feast, we return to colonial Antigua for the evening. 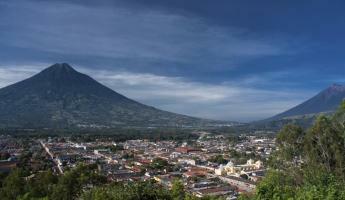 Volcan Fuego rises to the roof of the world above the streets of Antigua below. 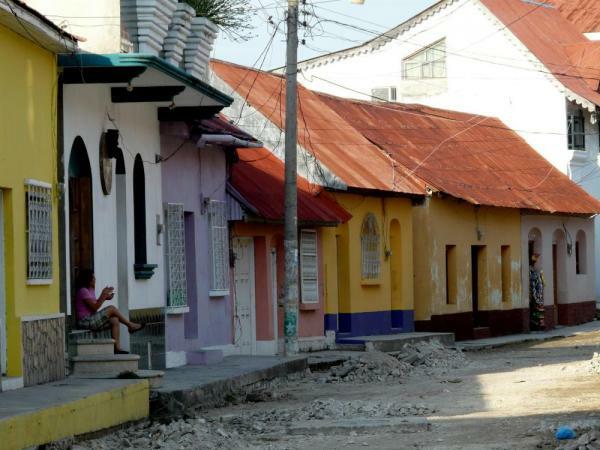 Once the capital of Guatemala and all Central America, Antigua resembles a living ruin. Mammoth churches and palaces tell the story of Antigua's past glory, and restored fascades speak of a bright future for this wonderful city. This morning we tour the city and admire Antigua's gilded cathedrals. The afternoon is yours to rent mountain bikes to explore the countryside, visit a coffee finca or macadamia nut plantation, or just people watch in the main plaza. From Antigua we fly to Flores and transfer onward to the Chiminos Island Lodge, an eco-archaeological preserve in the forested Peten region. From your mahogany bungalow you're enveloped by the sounds of the jungle: parrots, toucans, and myriad other bird species share their song, while the uncanny roar of nearby howler monkeys adds a primal feel to the jungle. As the sun begins to set, we'll head out on a guided rainforest hike to see what wildlife we can spot. The ruins of Aguateca, while not as imposing as those we'll see at Tikal, are among the best preserved and restored Maya sites in Guatemala. We spend the morning here learning about the Classical Mayan period before returning to the lodge in time for lunch. A three hour transfer by boat and bus brings us to the shores of Lake Peten Itza, where we settle in for the evening. Tikal's towering pyramids rise above the thick jungle canopy like stoic sentinels of ancient mysteries. The ancient Maya began building this city around 600 B.C., and for the next 1500 years the area was an important religious, scientific, and political center. Pyramids to honor dead kings were built, administrative buildings rose, storage houses appeared and houses for royalty were carved out of the jungle. 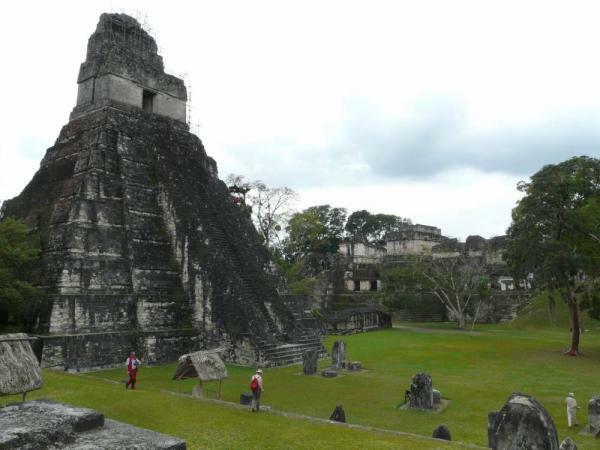 Tikal became one of the greatest centers of Maya culture and sprawled over 46 square miles with more than 4000 structures in the core city center alone. Today, the pristine forest engulfing the ruined city is home to howler and spider monkeys, white lipped peccary, brocket deer, coati-mundis, toucans, scarlet macaws, parrots, ocelots and the seldom seen jaguar. 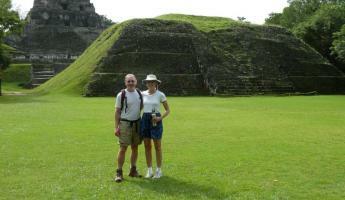 This morning we explore the ruins with an experienced guide before flying to Guatemala City where we overnight. 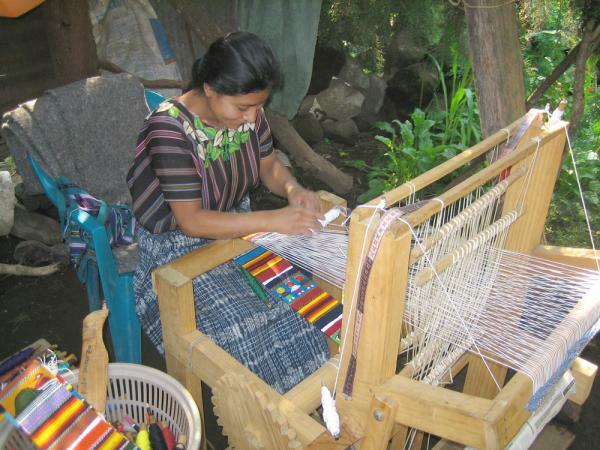 A perfect finish to your Guatemala travel adventures! Located on the shores of Lake Petén Itzá, facing the Island of Flores, the Hotel Casona del Lago offers 32 comfortable rooms in a Caribbean environment. All rooms include private bath and air conditioning, as well a large pool and jacuzzi overlooking the lake. 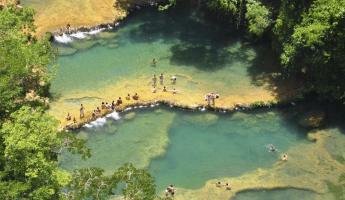 A nice place to rest after your adventures in Petén.